V-Revive always appreciates feedback from our valued patients. To date, we’re thrilled to have collected 14 reviews with an average rating of 5 out of 5 stars. 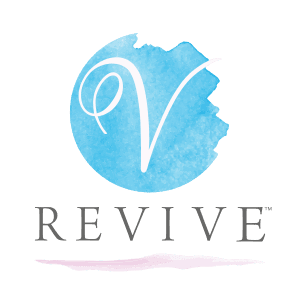 Please read what others are saying about V-Revive below, and as always, we would love to collect your feedback. I have had the Mona Lisa Touch and the O Shot. As a previous reviewer noted, I wish I had done this much sooner. After several years of painful, unsatisfying intimacy, these two procedures changed everything. Worth the time and money, definitely. Meg, in Gulfport, was kind, approachable and easy to talk to. Everyone is so nice and professional. They make me feel very comfortable. Amy was informative to my questions and friendly! Easy to talk to! Morgan was very professional and very good at explaining the procedure. The office was very nice and provided an overall great experience. U have been very satisfied. I really do not have s preference about the nurses. They are both very good. I would recommend this procedure to anyone. I am young, so please know this procedure is not just beneficial to post-menopausal women. I have seen amazing results from my procedure and would do it again. Amy and the staff are so kind and empathetic. Thanks, ladies! Amy was very friendly and made me feel really comfortable. She explained the procedure thoroughly. I would recommend this to anyone. Very friendly and knowledgeable. Easy to talk to about my personal problems. This has been one of the best choices. ThermiVa delivered everything they promised and Amy could not have been more awesome! So glad I decided to do it! It was great to get my v-revive treatment last year. Amy was wonderful! Amy was great. She made me feel comfortable and explained everything throughly.